Native Instruments Komplete Audio 6 is a premium-quality 6-channel audio interface that picks up where its predecessor AUDIO KONTROL 1 left off. It gives you everything you need to record, play and perform music. 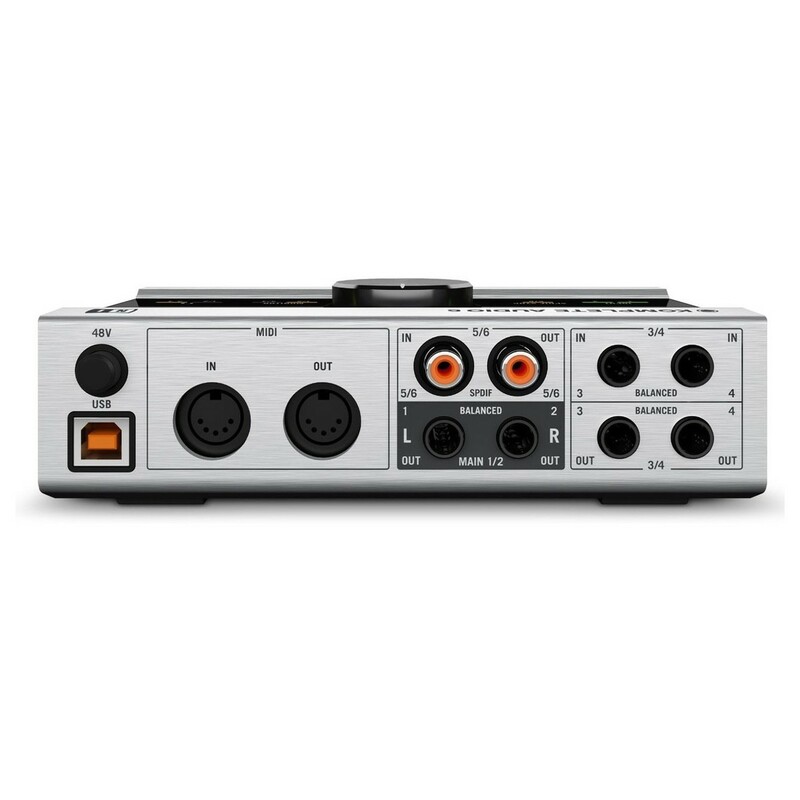 It has four analog ins/outs, digital in/out, MIDI and low-latency performance, and all housed in a sleek, rugged metal casing. 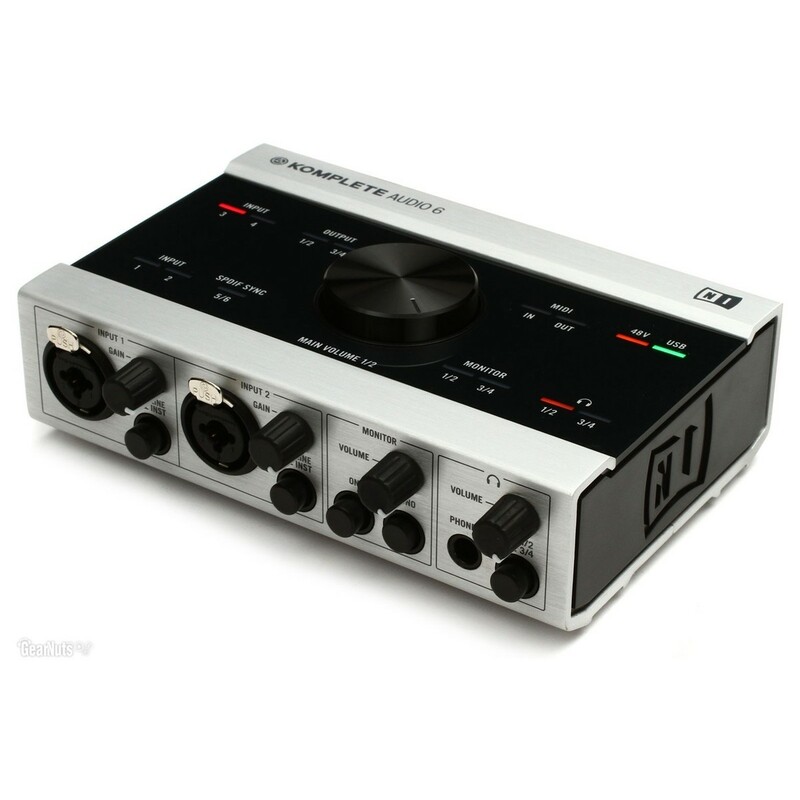 The built-in phantom power allows you to connect condenser microphones directly to the interface, allowing you to capture studio-grade recordings with ease. With its low latency performance and wide range of connectivity, the Native Instruments Komplete Audio 6 is ideal for home recording and studio use alike. Experience every facet of your sound, whether you're playing virtual instruments or recording audio. If you're already a user of Maschine or Komplete Instruments and Effects, you're armed with an array of sounds in the highest possible audio fidelity. 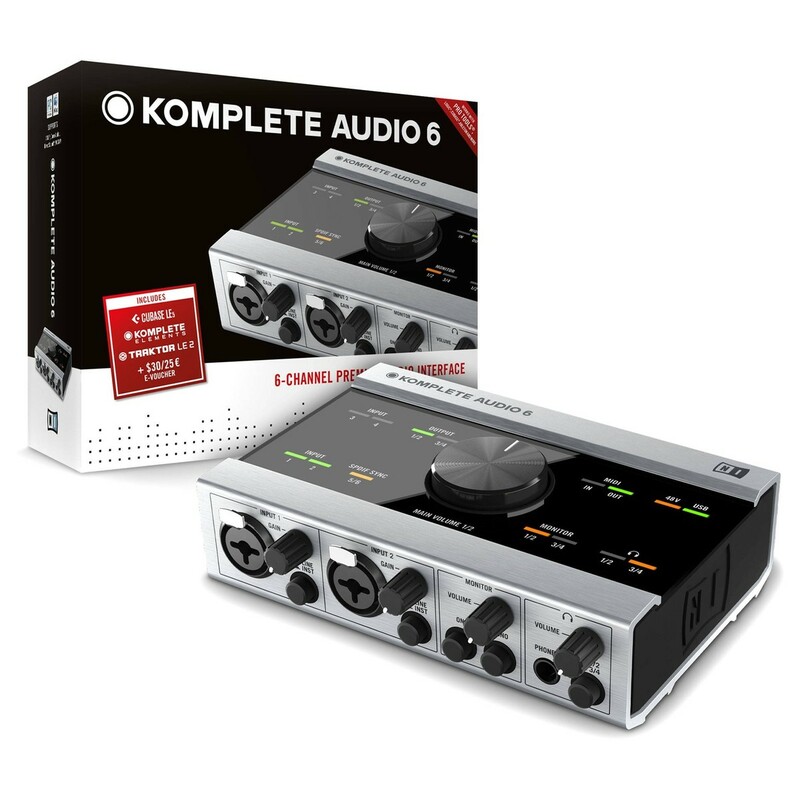 Komplete Audio 6 provides you with the hardware to match. With included software such as Komplete Elements, Traktor LE 2 and Cubase LE 6, you're ready to produce complete tracks and songs in any style, right from the word go. Designed to be flexible, Komplete Audio 6 has plenty of options for connecting mics, guitars, MIDI instruments or outboard gear. With 4 balanced analog inputs and 4 balanced analog outputs to match, plus MIDI and digital stereo I/Os, Komplete never sounded so good. 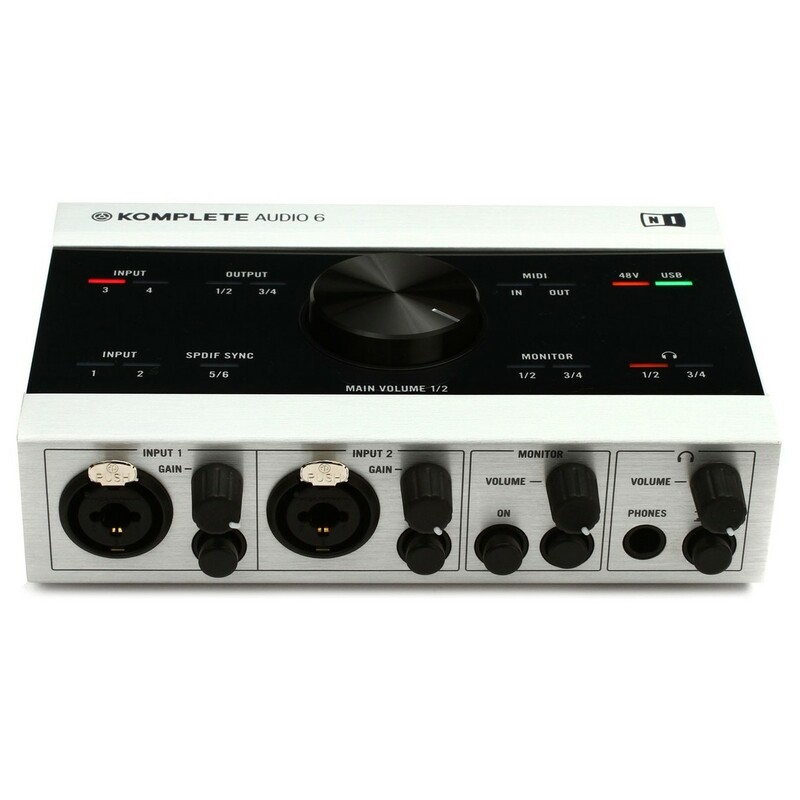 Taking the award-winning sound quality of the Audio Kontrol 1 to a new level, Komplete Audio 6 boasts a streamlined circuit design, hand-picked components and a distinct analog volume knob on top of the unit. 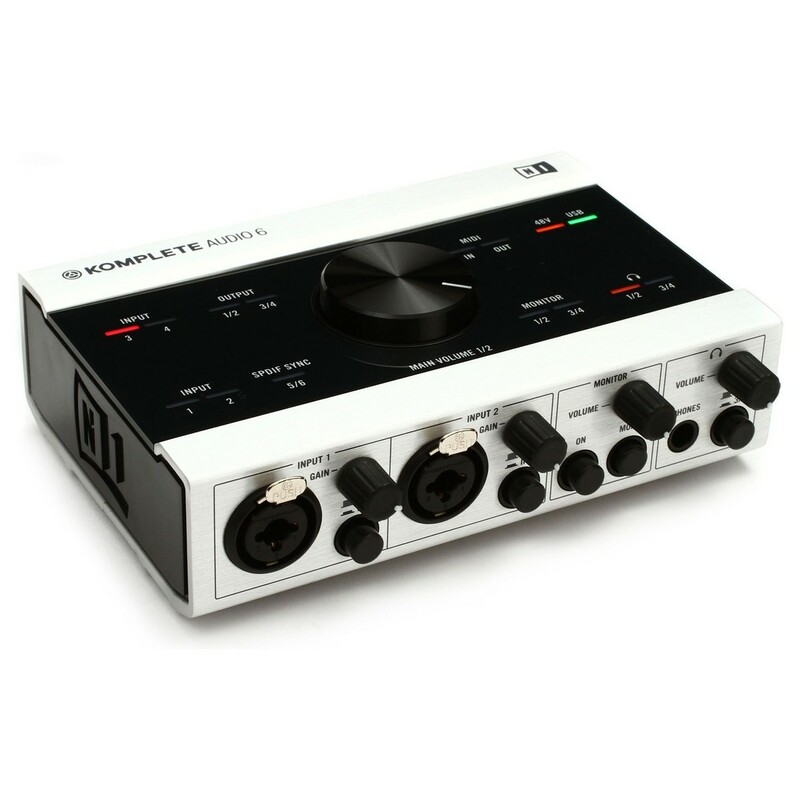 Completely USB-powered, Komplete Audio 6 also has a headphone output with independent level control and source switch. New chips, new audio drivers and new circuitry ensure that latency is low, and the direct monitoring option provides 100 percent latency-free monitoring for recording guitars, vocals, or other live sources. 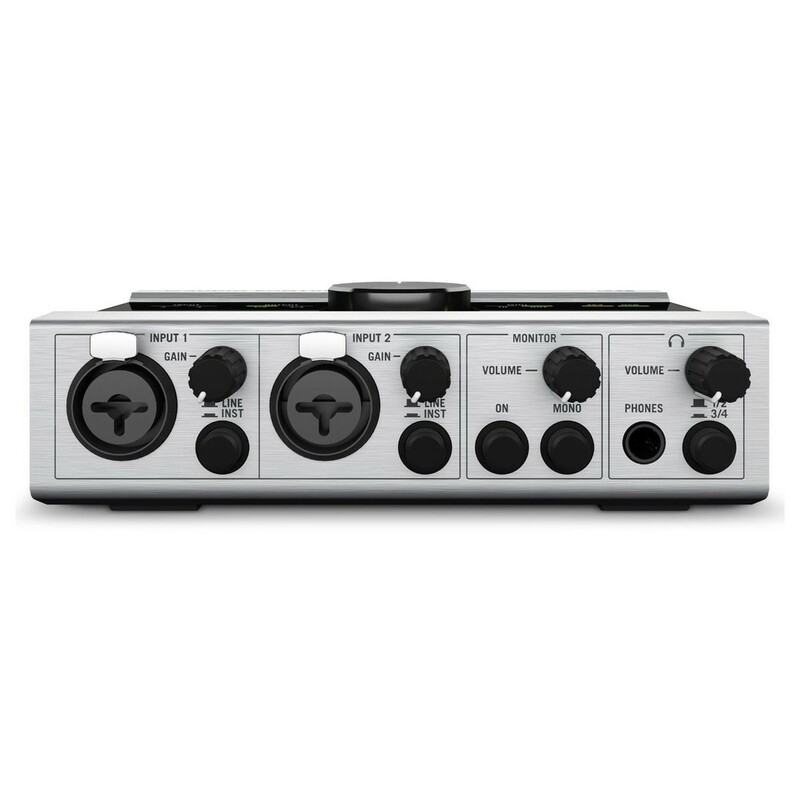 48V phantom power enables you to use condenser mics and active DI boxes, whilst 15 status LEDs provide visual feedback for all signals and indicate clipping. Monitor with 1024 x 768 screen resolution, USB 2.0, DVD drive.